In News: The Election Commission on Friday issued directions barring political parties from using or allowing the use of public funds, public space or government machinery for carrying out activities that amount to advertisement for the parties or propagating their election symbols. “It is clarified that any violation of the above directions would be treated as violation of a lawful direction of the Commission within the meaning of paragraph 16A of the Election Symbols (Reservation & Allotment) Order,” said the EC order. According to the Election Symbols (Reservation and Allotment) Order, 1968, in every contested election a symbol shall be allotted to a contesting candidate at an election in the same constituency. For the purpose of this order symbols are either reserved or free. A reserved symbol is a symbol which is reserved for a recognized political party for exclusive allotment to contesting candidates set up by that party. A free symbol is a symbol other than a reserved symbol. A reserved symbol shall not be chosen by, or allotted to, any candidate in any constituency other than a candidate set up by a National party for whom such symbol, has been reserved or a candidate set up by a State party for whom such symbol has been reserved in the State in which it is a State party even if no candidate has been set up by such National or State party in that constituency. A symbol reserved for a State party in any State shall not be included in the list of free symbols for any other State or Union territory, and shall not be reserved for any other party which subsequently becomes eligible, on fulfillment of the conditions specified. According to amendment made in Election Symbols (Reservation and Allotment) (Amendment) Order, 1997, If a political party, which is recognized as a State party in some State or States, sets up a candidate at an election in a constituency in any other State in which it is not a recognized State party, then such candidate may, to the exclusion of all other candidates in the constituency, be allotted the symbol reserved for that party in the State or States in which it is a recognized State Party, notwithstanding that such symbol is not specified in the list of free symbols for such other State or Union territory. The clause confers power on the Commission to suspend or withdraw recognition of a recognized political party for its failure to observe Model Code of Conduct or follow its lawful directions and instructions. Utilizing public funds/place for promoting any political party or propagating its election symbol would be antithetical to the concept of free and fair election and the principle of level playing field for all stakeholders. The Commission has, therefore, directed that no political party shall henceforth either use or allow the use of any public funds or public place or government machinery for carrying out any activity that would amount to advertisement for the party or propagating the election symbol allotted to the party. In News:The Supreme Court has struck down the words “adult male” from the pertinent provision in the DV Act to lay down that a woman can also file a complaint against another woman, accusing her of domestic violence. Not only men, but women can also be prosecuted under the Protection of Women against Domestic Violence (DV) Act. The expression “Domestic Violence” means any act, omission or commission or conduct which includes causing physical abuse, sexual abuse, and verbal emotional or economic abuse which are also explained under the definition of domestic violence. In determining whether any act, omission or commission or conduct of the respondent constitutes “Domestic Violence” the overall facts and circumstances of the case shall be a guiding factor. Even a single act of commission or omission may constitute domestic violence. In other words, women do not have to suffer a prolonged period of abuse before taking recourse to the law. The law says any definition of domestic violence is a human rights violation. Further, the law details the different forms of violence faced by women, and ensures that such interpretations are not left solely to the discretion of the judges. Under Section 2(q) of the 2005 Act, a complaint can be made only against an “adult male person”, thereby insulating women from being accused of offences mentioned under the law. Supreme Court ruled that this provision frustrated the objective of the legislation since “perpetrators and abettors of domestic violence” can be women too. Legislative intent of providing effective protection to rights of women could “easily be defeated by an adult male person not standing in the forefront, but putting forward female persons” who could forcibly evict a woman or defeat any other order passed under the Act without fear of inviting prosecution. It underlined that the classification of “adult male person” subverted the doctrine of equality by restricting the reach of a social beneficial statute meant to protect women against all forms of domestic violence. Thus SC stroked down the words ‘adult male’ before the word ‘person’ in Section 2(q), as these words discriminate between persons similarly situated, and contrary to the object sought to be achieved by the 2005 Act. The bench resorted to the “doctrine of sever ability” which made it clear that having struck down the expression ‘adult male’ in Section 2(q), the rest of the Act is left intact and can be enforced to achieve the object of the legislation without the offending words,” it held. The ruling came on an appeal filed against a judgment of the Bombay High Court in 2014 that had read down the Act to hold that complaints could be filed against the women too. The top court, however, set aside this judgment on the ground that the provision could not be read down. “We declare that the words ‘adult male’ in Section 2(q) will stand deleted since these words do not square with Article 14 (equality) of the Constitution of India,” it said. In News: A major step was taken towards ensuring safety of bridges in the country, when the Minister of Road Transport & Highways and Shipping Shri Nitin Gadkari formally launched the Indian Bridge Management System (IBMS) in New Delhi today. IBMS is being developed to create an inventory of all bridges in the country and rate their structural condition so that timely repair and rehabilitation work can be carried out based on the criticality of the structure. IBMS is the largest platform in the world owned by a single owner. It is being developed to create an inventory of all bridges in the country and rate their structural condition so that timely repair and rehabilitation work can be carried out based on the criticality of the structure. So far 1, 15,000 bridges have been inventorized, of which 85,000 are culverts and the rest are bridges. Each bridge is assigned a unique identification number or National Identity Number based on their geographical location;Bridge Location Number based on its latitude-longitude; Bridge Classification Number based on their engineering characteristics; Structural Rating Number for each component; Socio-Economic Bridge Rating Number which will decide the importance of the structure in relation to its contribution to daily socio-economic activity of the area in its vicinity. Based on this inventory IBMS will analyze data and identify bridges that need attention. Further inspection will be carried out wherever required to improve the operational availability of the structure, enhance its life and prioritize repair and rehabilitation work. The data will help to decide which bridge needs critical attention, or which needs to be rebuilt. 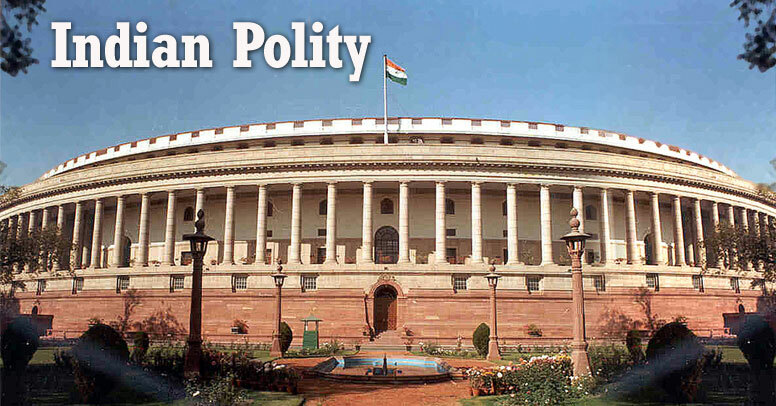 In News: The Union Cabinet has approved the amendments to the HIV and AIDS (Prevention and Control) Bill, 2014. This comes after the NDA government in July revived the bill to look into its flaws.The Bill was first introduced in Parliament by the UPA government in its last days in 2014 and aimed to make anti-retroviral treatment a legal right of HIV/AIDS patients.The HIV and AIDS Bill, 2014 has been drafted to safeguard the rights of people living with HIV and affected by HIV. The provisions of the Bill seek to address HIV-related discrimination, strengthen the existing programme by bringing in legal accountability and establish formal mechanisms for inquiring into complaints and redressing grievances. It also prohibits specific acts of discrimination by the state, or any other person, against HIV-positive people, or those living with such people. It also lays down penal provisions for any discrimination practiced against a person with HIV/AIDS and breach of confidentiality.It also provides for confidentiality of HIV-related information and makes it necessary to get informed consent for undertaking HIV tests, medical treatment and research. The protection mandated in the Bill extends to the fields of employment,healthcare services, educational services, public facilities, property rights, holding public office, and insurance. According to the provisions of the Bill, an ombudsman shall be appointed by each state government to inquire into complaints related to the violation of the Act and the provision of health care services. The ombudsman shall submit a report to the state government every six months stating the number and nature of complaints received, the actions taken and orders passed. A person between the age of 12 to 18 years who has sufficient maturity in understanding and managing the affairs of his HIV or AIDS affected family shall be competent to act as a guardian of another sibling below 18 years of age. The guardianship will apply in matters relating to admission to educational establishments, operating bank accounts, managing property, care and treatment, amongst others. Cases relating to HIV positive persons shall be disposed off by the court on a priority basis. (c) To restrain any person from publishing information that discloses the identity of the applicant. When passing any order with regard to a maintenance application filed by an HIV infected or affected person, the court shall take into account the medical expenses incurred by the applicant. ART are medications that treat HIV. The drugs do not kill or cure the virus. However, when taken in combination they can prevent the growth of the virus. When the virus is slowed down, so is HIV disease. Antiretroviral drugs are referred to as ARV. Combination ARV therapy (CART) is referred to as highly active ART (HAART). Antiretroviral drugs are usually used in combinations of three or more drugs from more than one class. This is called “Combination Therapy.Combination therapy helps prevent drug resistance. ARVs reduce the viral load, the amount of virus in ones bloodstream, but are not a cure. People with undetectable viral loads stay healthier longer. They are also less likely to transmit HIV infection to others.